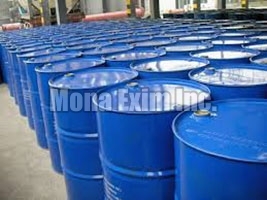 We are a reputed firm engaged in manufacturing, exporting and supplying Ethyl Acetate. Our Ethyl Acetate is processed in our hi-tech laboratories using premium base chemicals. Possessing exceptional chemical properties, the Ethyl Acetate finds wide usage in printing ink mfg, nail varnish removers, packaging industries and paints industries. We make available Ethyl Acetate at the best market prices.